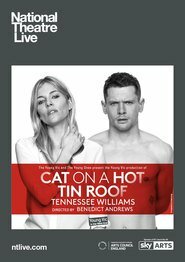 Tennessee Williams’ twentieth century masterpiece Cat on a Hot Tin Roof played a strictly limited season in London’s West End in 2017. Following his smash hit production of A Streetcar Named Desire, Benedict Andrews’ ‘thrilling revival’ (New York Times) stars Sienna Miller alongside, Jack O’Connell and Colm Meaney. On a steamy night in Mississippi, a Southern family gather at their cotton plantation to celebrate Big Daddy’s birthday. The scorching heat is almost as oppressive as the lies they tell. Brick and Maggie dance round the secrets and sexual tensions that threaten to destroy their marriage. With the future of the family at stake, which version of the truth is real – and which will win out?